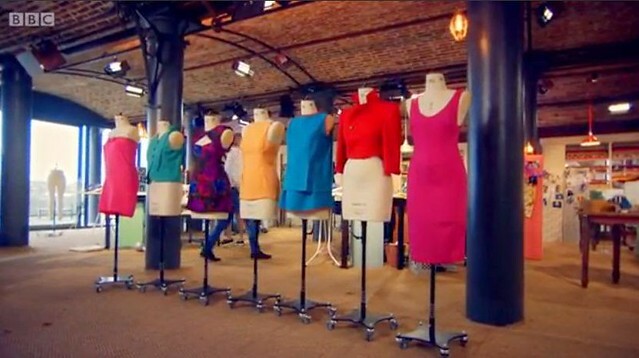 With the success of the Great British Bake Off, the BBC decided to add to the “Great British” series with the Great British Sewing Bee. I liked this show as much as the Bake Off, because I am a fledgling seamstress. And it inspired an item on my Bucket List. One of the challenges they do every episode is to give the contestants a plain item of clothing which they must completely and utterly alter. For instance, in one episode they were all given a plain blue shapeless t-shirt to transform. My favourite was this beautiful technique. In another episode they all got to pick an 80’s power suit to transform. I decided that it was something I wanted to try. If nothing else, it’s a good exercise for practicing my skills. However, I am quite large. So I knew it would be difficult to find something big enough to make something for me, so I settled on making something for my little niece. And I knew what I wanted to do with it. 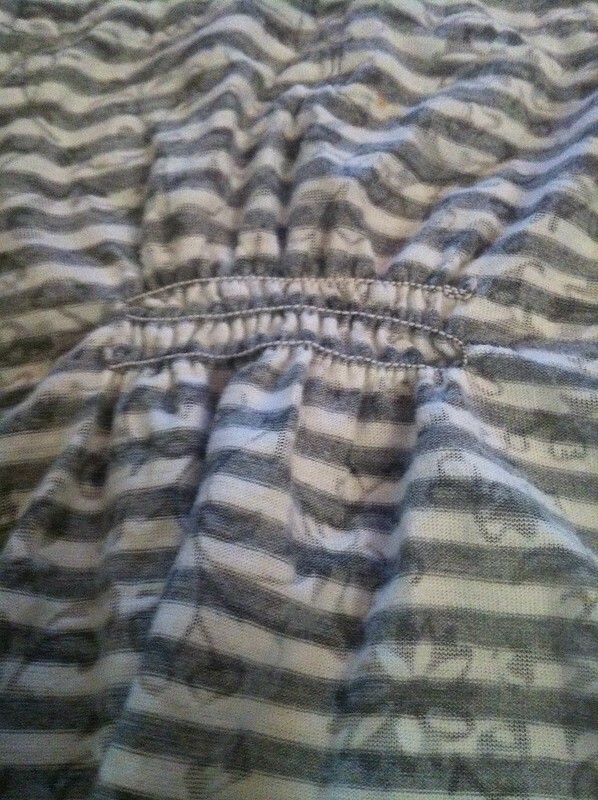 The first step however was unpicking this rouching (not the technical term) on the back so I could use as much of the fabric as possible. 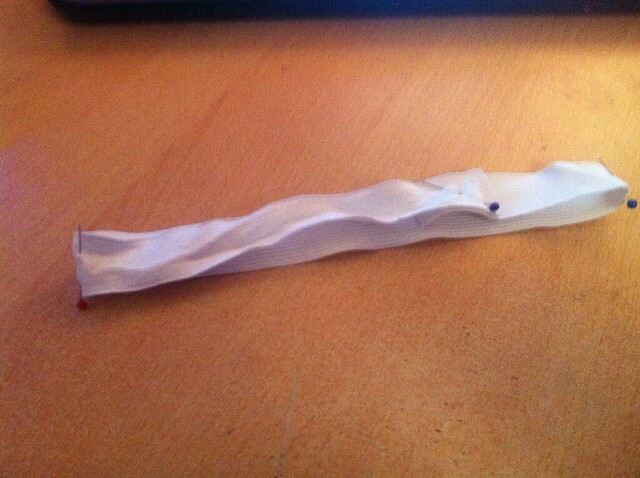 Luckily that was just a case of cutting the elastic on the inside in a few places. 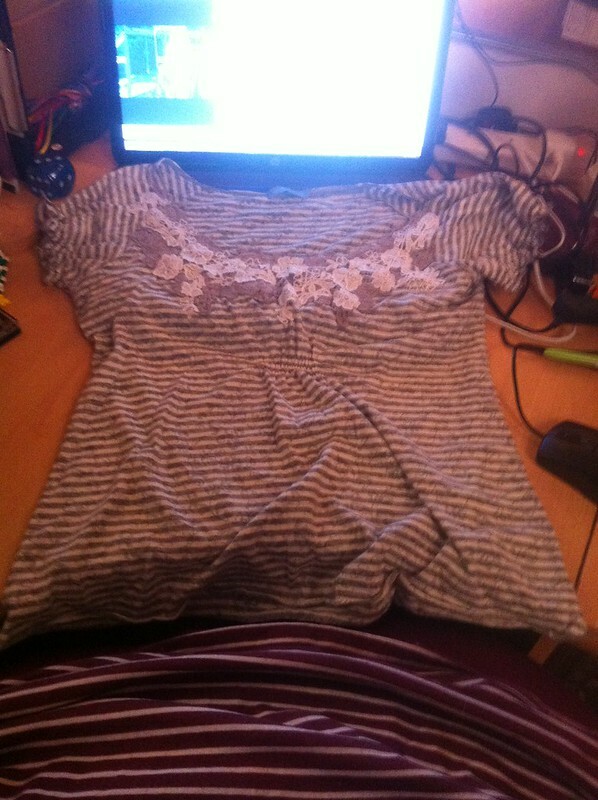 Next step, trim the shirt to reveal the fabric I had to work with. I needed two pieces. 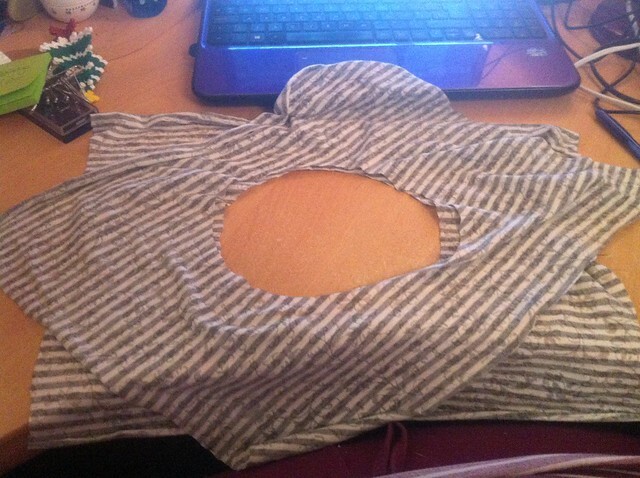 Fold each piece into quarters and cut out a circle waist. The internet told me the average waist size of an 18 month old, and I found something that was approximately the right size. …and overlay the two pieces, with the points at angles with each other. You could tack around the circle here, just to keep them in place. 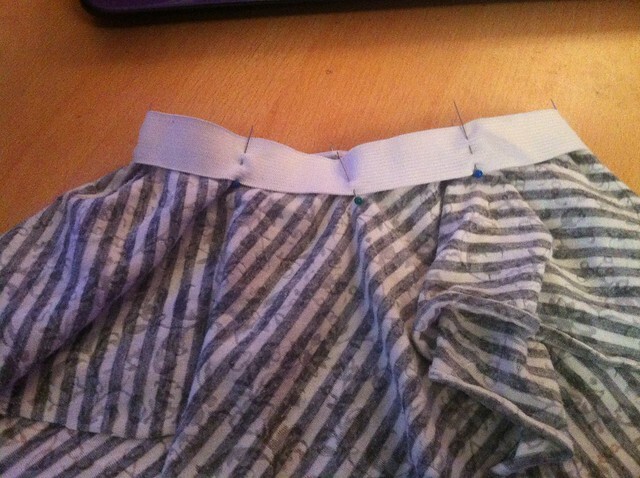 The next step is the waistband. 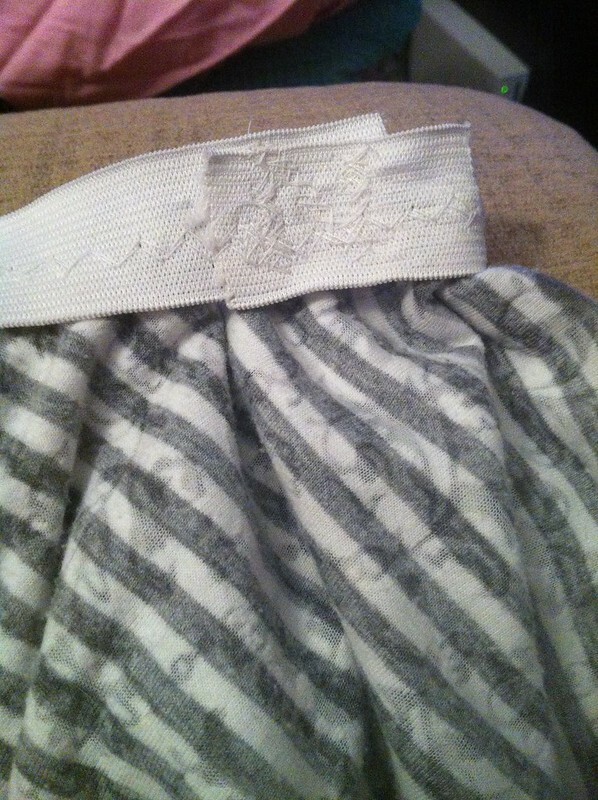 I cut a piece of elastic to just a bit smaller than my niece’s waist, pinned it together and marked the ends with pins. 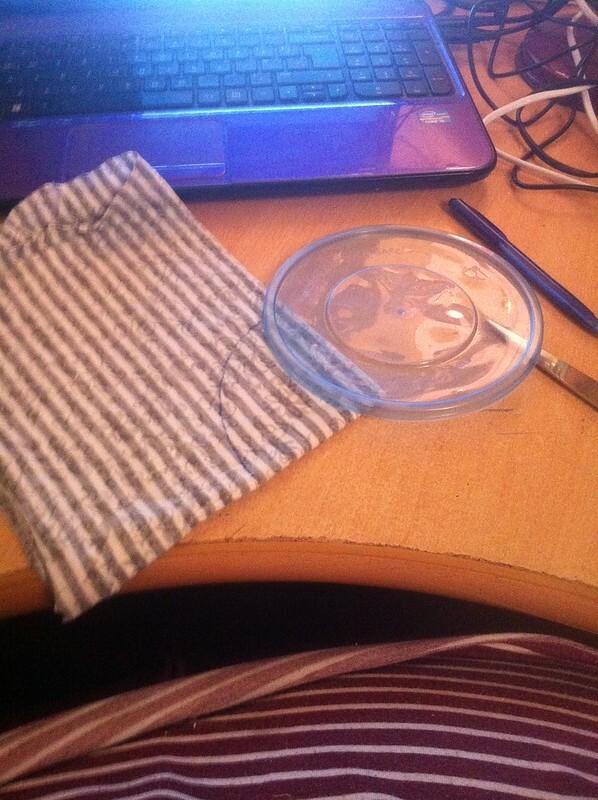 I marked the halfway points as well, and then the quarter marks of the circle on the fabric. 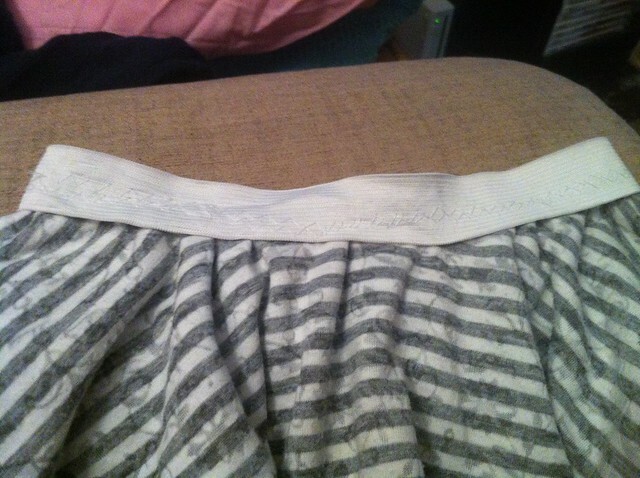 I aligned the elastic with the skirt, pinning in place. 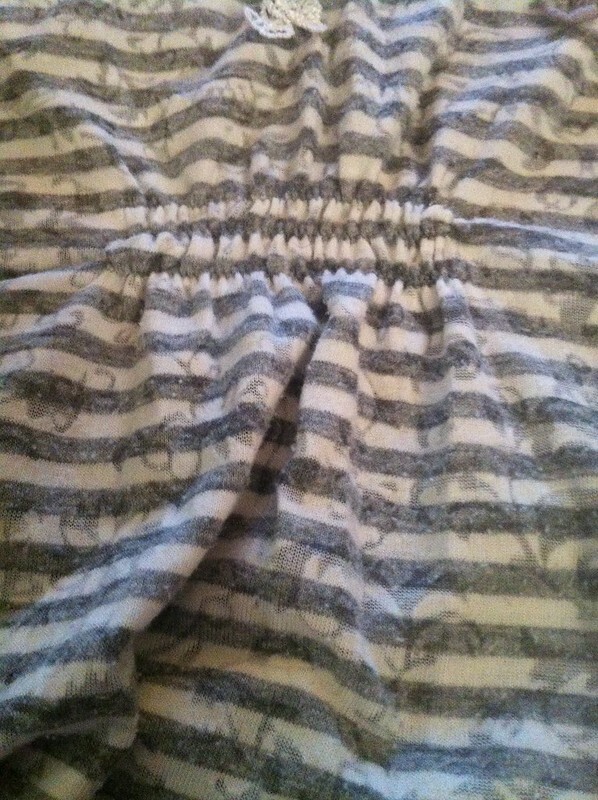 Next up, sew the elastic to the skirt. I knew that when sewing elastic you’re meant to use a zig zag stitch, but I couldn’t remember if you were supposed to stretch the fabric as you sew or not. I erred on the side of not, and still managed to get some give in there. My cutting skills need a bit of work. 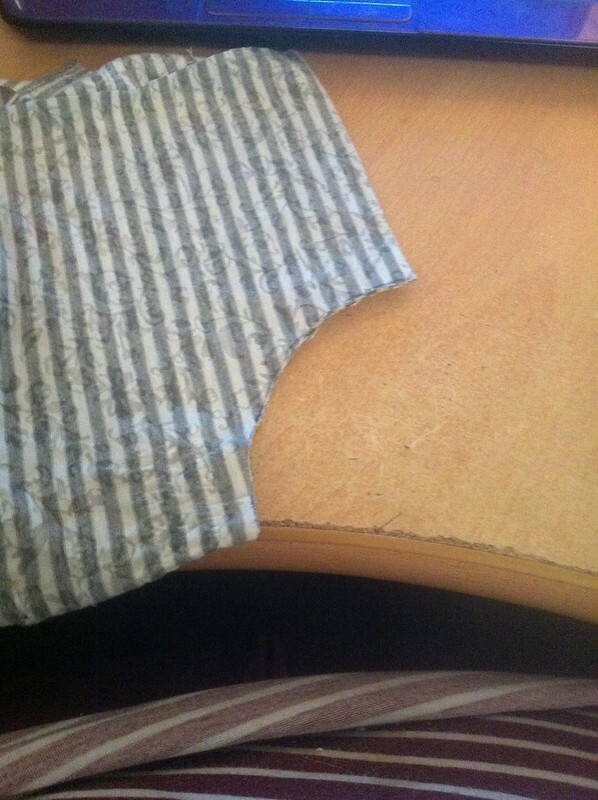 My sewing skills still leave a lot to be desired too, but it works. 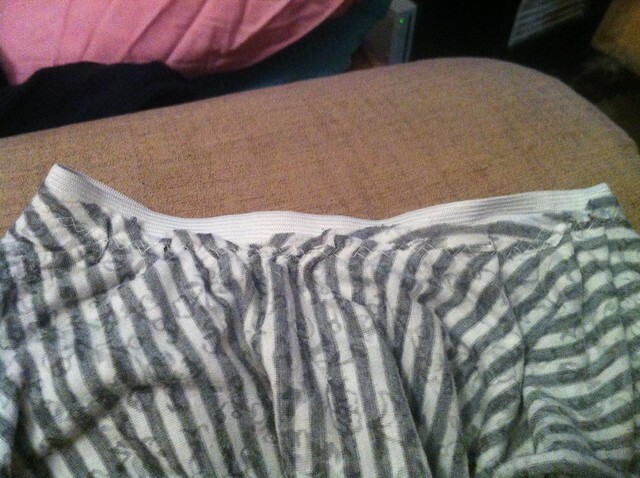 I somehow managed to mess up joining the ends of the elastic, and had an ugly little bump. But I am a creative genius! And I figured out how to solve the problem. 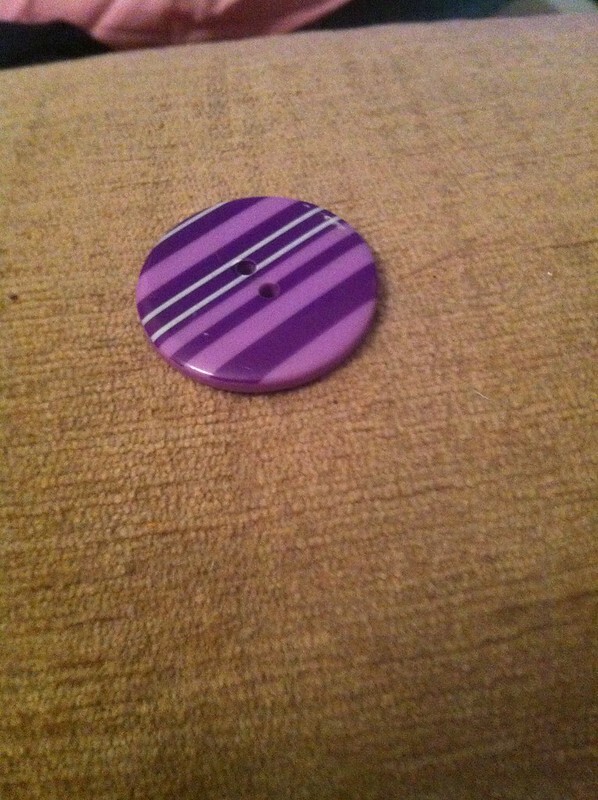 I don’t have a picture of the recipient wearing it yet, but I’ll share as soon as I do. This entry was posted in Craft, Friends & Family. Bookmark the permalink.